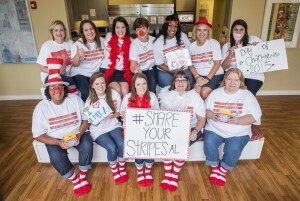 Join RMHCA and the Greater Birmingham Community in the #ShareYourStripesAL Challenge! 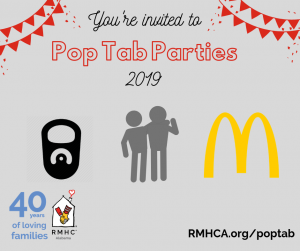 In honor of Day of Change, RMHCA is holding a very special social media challenge! Grab your friends, family, co workers, kids, pets, whoever you can find and take a picture of you in your RED AND WHITE STRIPES! Take a picture and post it to Facebook, Twitter or Instagram with the hashtag #ShareYourStripesAL and YOUR image could be on digital billboards in Birmingham leading up to Day of Change (which is on October 15th). Are you interested in joining us? Get all the details on the official Share Your Stripes Page!